You can provide actual requirements for us to complete line-by-line testing. We create test templates based on your requirements. We execute test and a final PDF report outlines PASS/FAIL test lines. You can use final report to review all noncompliant lines and address those lines according to your quality assurance process. Get your SAP validation requirements done while saving the cost of a full-time information technology-quality assurance tester. 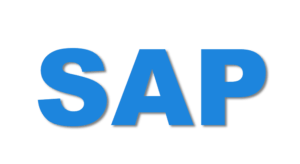 We have the expertise to help you with SAP testing in multiple areas. Configuration requires adequate knowledge on handling SAP developed software products. Speed up the procurement and material management activities making the business run smoother with complete time and cost efficiency. Integrate complex supply chain logistics with your warehouse and distribution processes – delivering the ultimate in visibility and control. Align demand with manufacturing capacity to create production and procurement schedules for finished products and component materials. Efficiently manage the flow of products into and out of an existing inventory in the warehouse. Incorporate the entire logistics process, from procurement to sales. SAP implementations must add validation and verification testing as a critical step to ensure full functionality of product.